I find fairy gardens enchanting and work the fairy figures and petite plants into my miniature landscaping. Join me, it's lots of fun. Repurpose that old tree stump into an eye-catching gnome home. 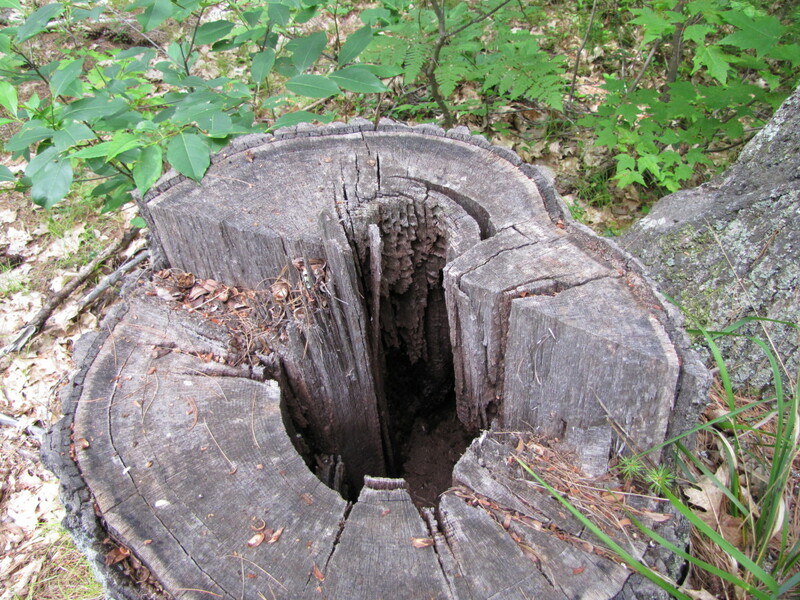 When it's time to remove a tree or when one breaks off in a storm, the homeowner is stuck with an unsightly tree stump. 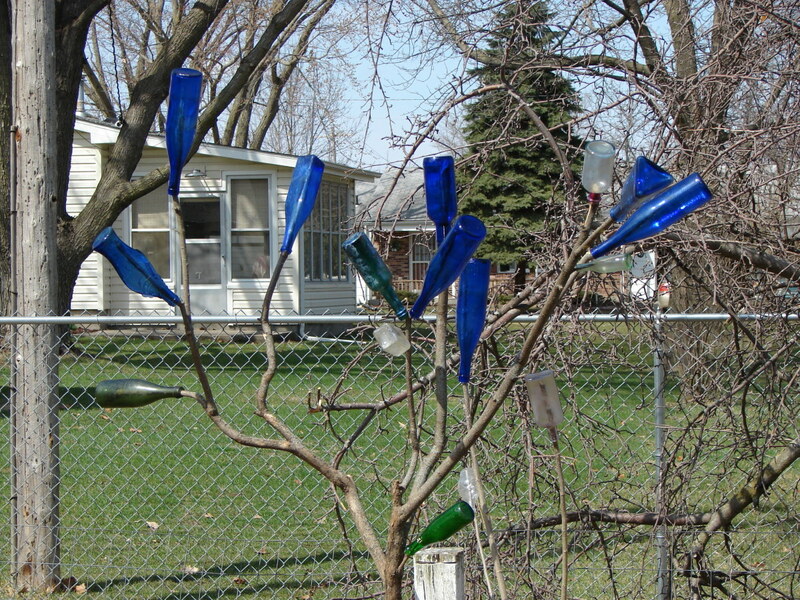 Often it's in a prominent place in the yard and serves as a reminder of the lost tree. It's costly to have a tree stump ground down and letting nature take it's course, can take years. Instead of agonizing over how unsightly the stump is, I wanted to turn it into something fun, something that adds to the yard. That's when I found these ideas for gnome homes or fairy houses made from tree stumps. To create a gnome home from a tree stump is fairly easy. Add a door and windows, a doorstep, a path and some small scale plantings. Read on for more examples of how to do this. 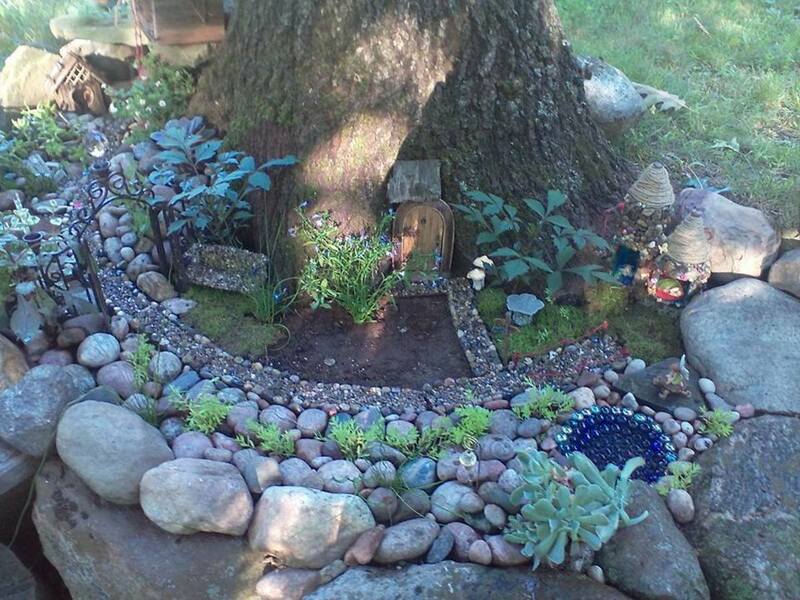 I found a Facebook group called Fairy Garden Believers and it's great fun seeing all the variations the members do on the miniature garden concept. 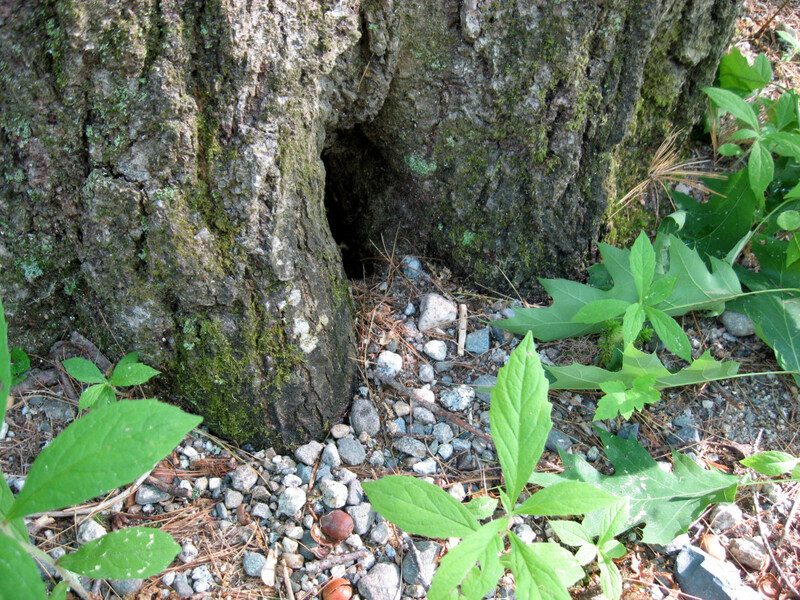 One member, Anna Brumar Kittle, added a delightful door to a tree with a stone path leading to it. Take a look at the picture below to see how creative she was in transforming this area. Besides the rock path leading to the doorway, there's an archway over the path. The area is defined with larger rocks. Around the doorway, she's placed some small-scale plantings. It looks like she used moss to create areas like a lawn for this miniature landscape. On the right side, notice the round blue pool created with colored glass or marbles. Very effective. Where Can You Get Ideas for Your Gnome Home? The Pinterest site is my go-to place for crafty or do-it-yourself ideas. I gathered all the tree stumps turned into gnome homes that I could find on the site. There were a bunch of great examples. After assembling all these photos, now I need to decide what look really appeals to me the most. I also need to check out the links that go with the photos. 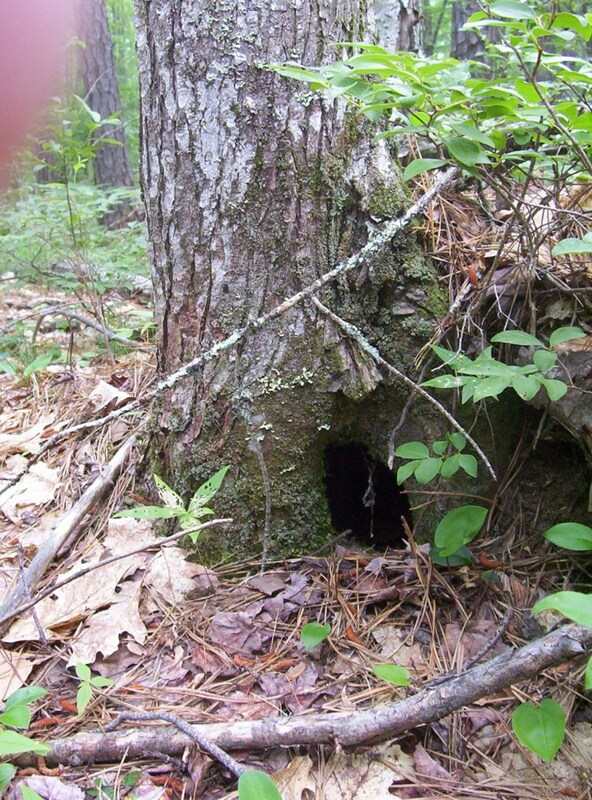 Many of these go to blogs or web pages that contain more information about the tree stump house. I'll look for tutorials on making these. For instance, how do you attach the roof to the top of the tree stump? This is a screen shot of my Pinterest pinboard on the topic. See the latest examples below. You can also follow my pinboard if you want to see my latest discoveries. You can make your own door out of ice cream bar sticks or other craft supplies if you are creative and very handy. I'm not really good at this, so I'd rather get one that doesn't fall apart on me or look like a 4-year-old made it. Actually most 4-year-olds could probably make a better gnome home door than I could. My mother was quite innovative and detailed-oriented with crafts. I guess, I didn't inherit her crafting genes. Here's a selection available through Amazon. 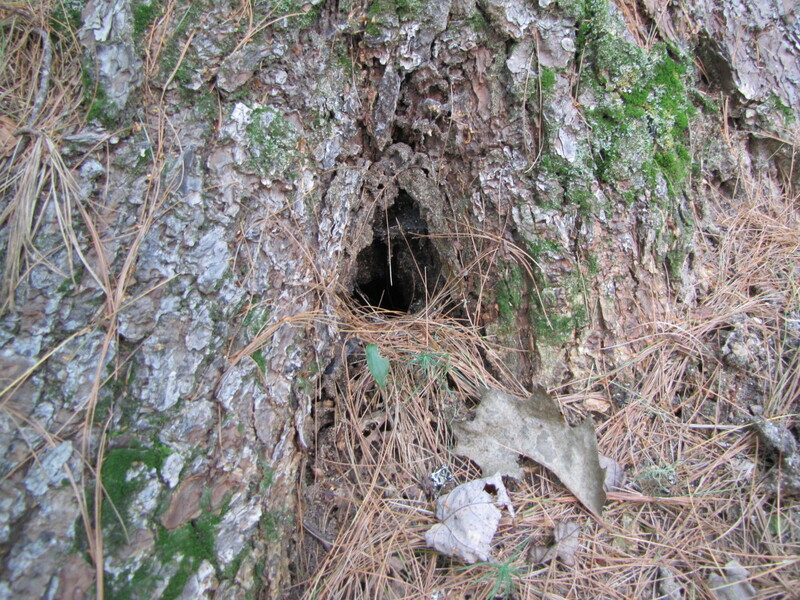 Place this arched door on your tree stump and it will be ready for the local gnome to move right in. This one even comes with a round window. Very rustic and old-style in appearance. Do not use a grinder to gouge out indentations for windows and doors in a tree stump. Her son had serious injuries to his hands from trying to do this. The grinder exploded while he was using it. He required hospitalization and surgery for it. Be careful with your tree stump project. 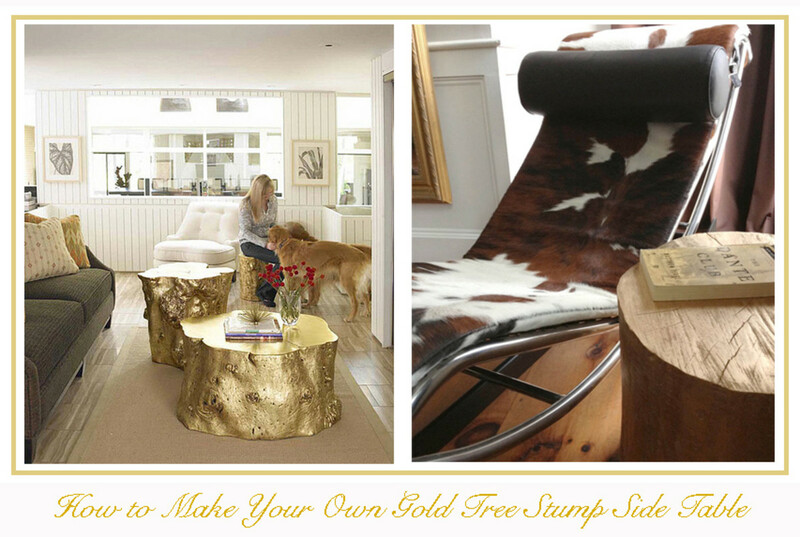 Do You Have a Tree Stump in Your Yard? The roundness of this door made me think of Middle Earth and hobbits. I'm sure gnomes, elves and fairies will like it too. The look is enhanced by the long hinges and the heavy-looking ring for "opening" the door. I think the stone look around the door adds to its solid look and the look of the doorstep. Gather some flat pebbles and make a small walkway leading up to the entryway. 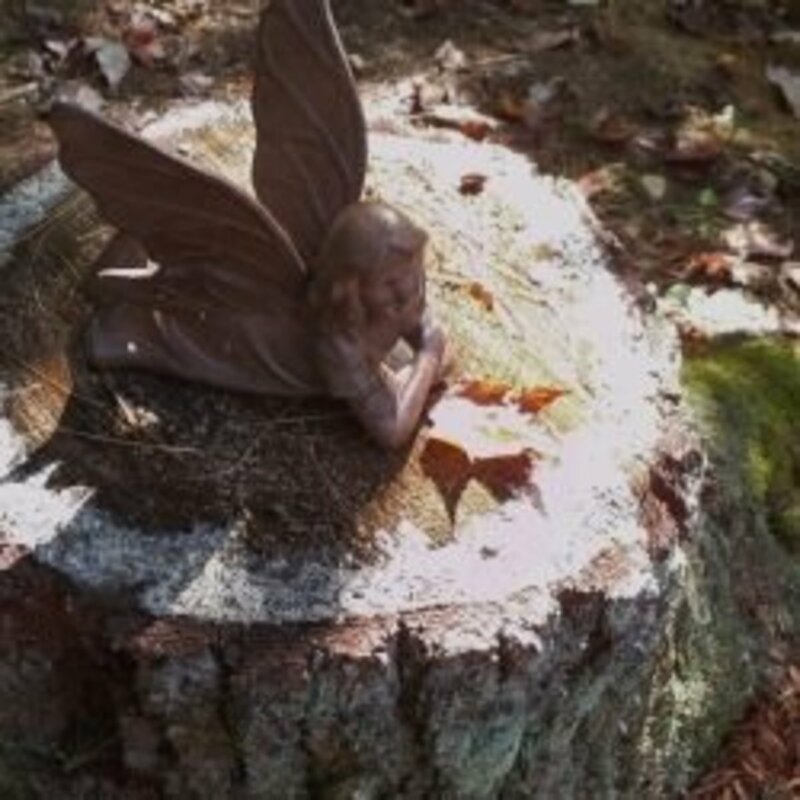 We have several large pine stumps just waiting to host the fairies and gnomes. My granddaughter will love this idea. Once you position the moss where you want it, mist it with a spray bottle every few days to keep it happy. 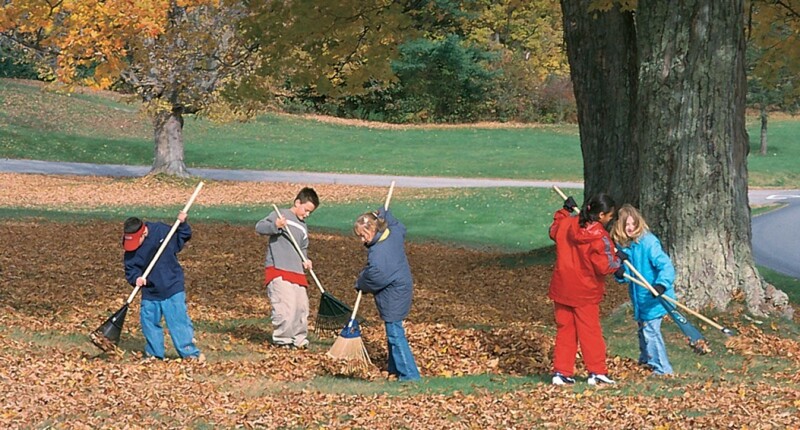 If the tree stump is in a shady spot, you won't need to spray it as often. You can tell if the moss needs watering, just touch it with your fingers. If it feels plush and cool, it's fine. If it feels stiff and a little brittle, it is time to mist it. Very nice variety here. If you have moss in your own yard, you can collect it and move it to where your Gnome home is. This assortment offers a lovlly selection from frog moss, haircap moss, lichens and they even include some rocks. I love cushion moss for its plush texture and light green color. I'd been calling this reindeer moss, but the proper name is cushion moss. Isn't it lovely? Although it is fairly easy to harvest moss and move it to a new location, you don't want to break any laws. 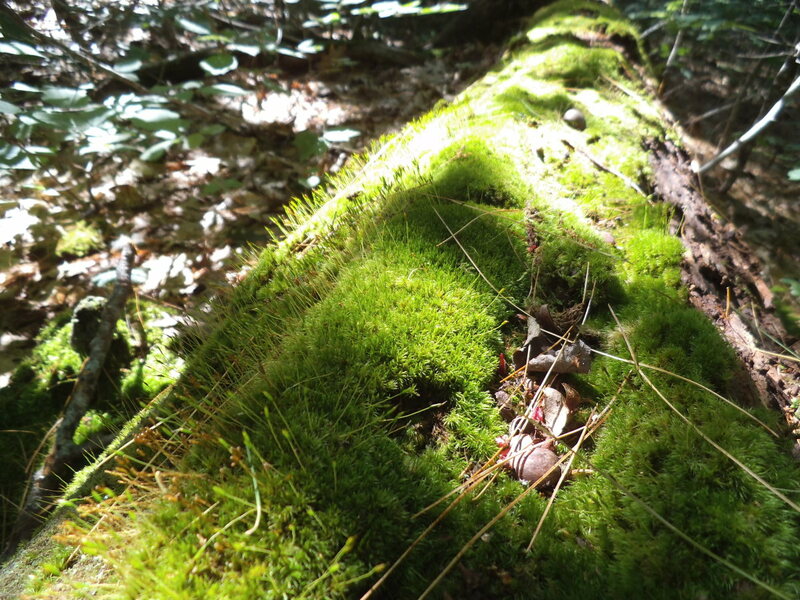 Do not collect moss from forests, parks or public places. If you have some under the trees in your yard, then feel free to place it with your miniature garden. If not, then I recommend getting some from one of the Amazon sellers shown here. 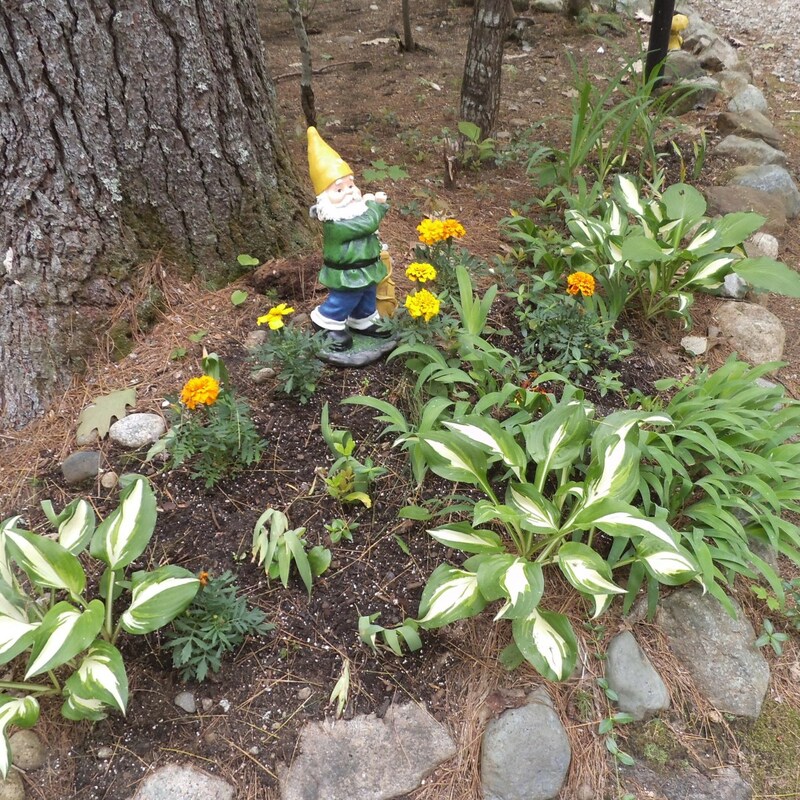 So many gardens have gnome figures, but don't realize how troublesome these can be. Here are the worst offenders from tough biker gnomes to zombie gnomes and other unsavory types. Almost every fairy garden that I've seen includes some moss. It's the perfect low-growing plant for a miniature garden. The plush moss is easy to care for and there are many kinds to choose from. 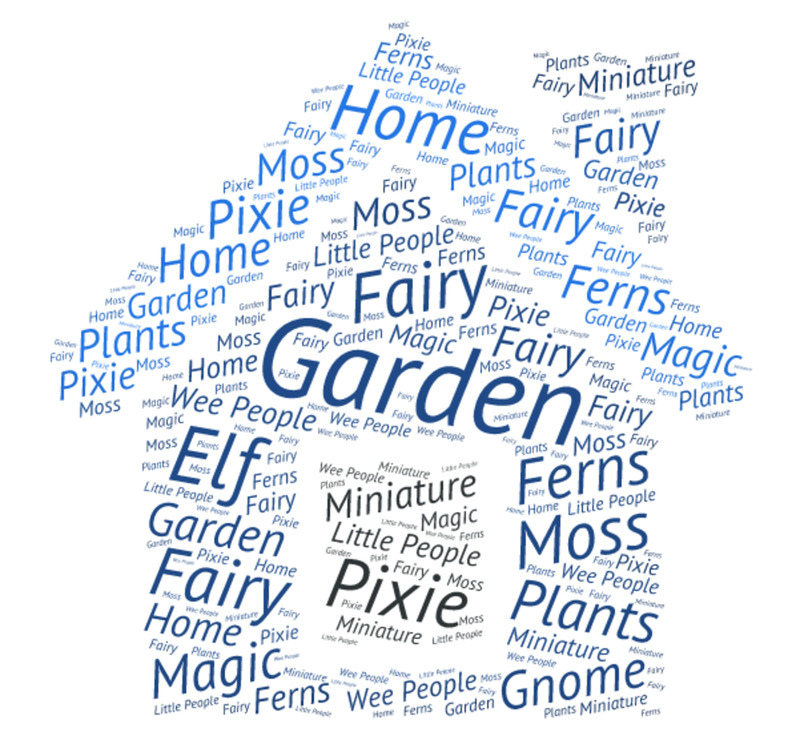 Designing the ideal Fairy Garden requires a little thought and some careful planning. After all, these are fairies we're talking about and they're such delightful little creatures you want to make sure you make them feel right at home when they move. This involves drilling holes in the top of the stump and putting the solution in. It speeds up the process of decay quite a bit but it isn't an overnight solution. The Tordon Cut Stump Killer had over 200 positive reviews. The link will show you other similar solutions. 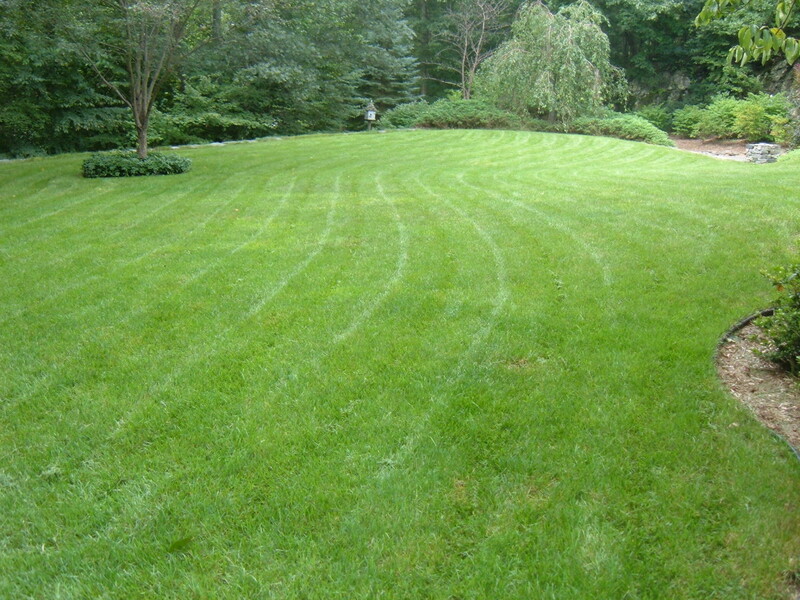 For immediate removal, you would have to bring in a wood chipper or some other equipment. Personally, I prefer to let nature take its course and I help it along by fostering the right environment for moss to grow on the tree stump. 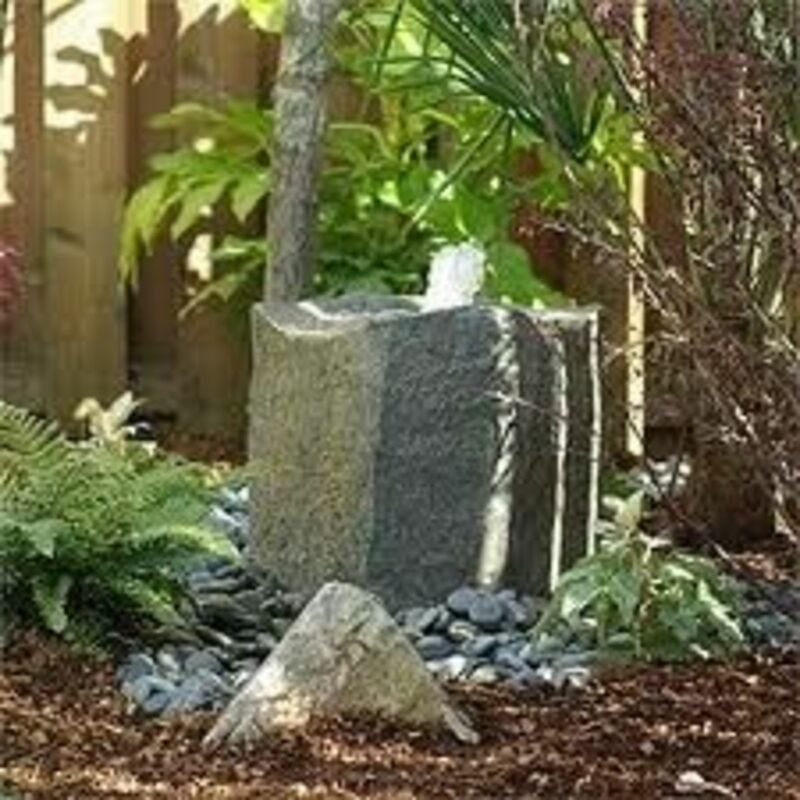 What Are Your Plans for Your Tree Stump? 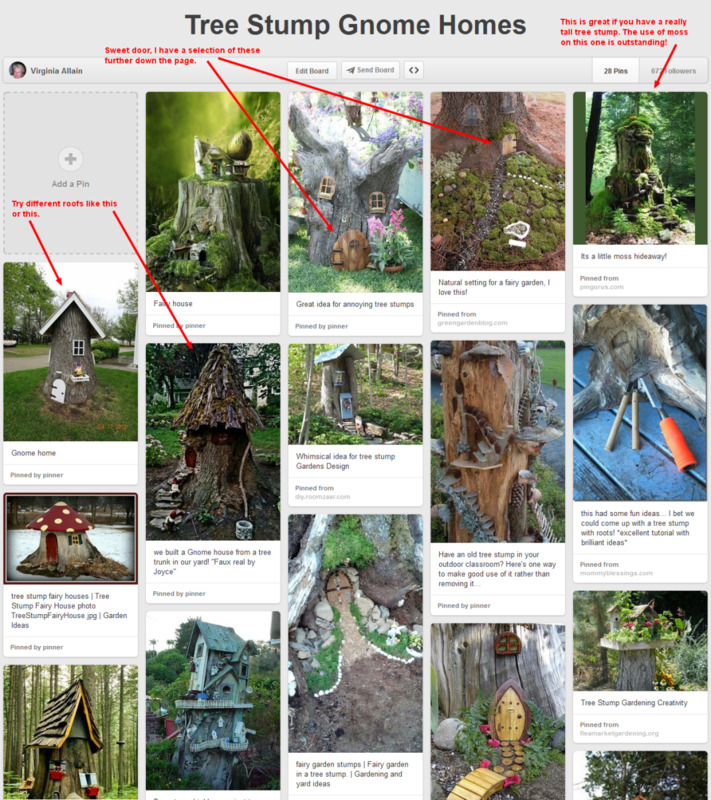 @julieannbrady: That would have been awesome having a colony of gnome homes. You know I have just got to say this ... "Well, DOG-gone it anyway!" You see I had the opportunity for a small gnome community when I took out my 3 large multiple water oak ... and wished I had thought about this. It might seriously have been a good selling point for my home! !